Yes. I want to join the Fearless Social Mastermind. 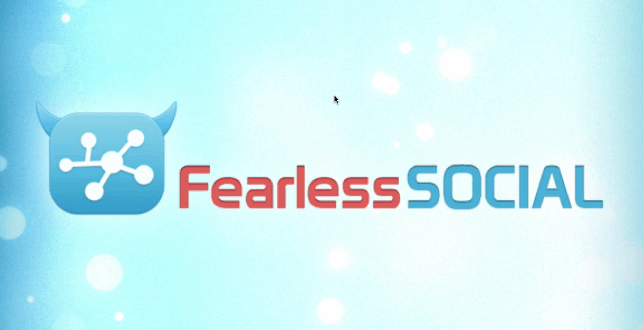 I understand that this is a private mastermind focused on mastering social media marketing, i understand that i will be getting access to the exclusive Fearless Social Facebook Group, the Live Training Sessions, the Core Training Material, and the Exclusive Fearless Social Software Tools. I understand that i am committing to be an active part of the mastermind and to share my failures and successes so that others may learn from what i learn. In turn, I understand that I will get access to the information that the other members of the mastermind share. The Fearless Social Mastermind is Alive And Ready! Marketers who are ready to take it to the next level by learning how to use social media to build up their own niche based business and/or the businesses of their local offline clients. Marketers who are ready to participate in a very active mastermind with other Social Media Savvy marketers and learn and test as a group. Marketers who are ready to participate in the two monthly calls and learn so that they can immediately implement the skills shared by some of the best Social Marketers on the Planet. Every Month the Fearless Social Mastermind gathers for a live Social Ads Training where we will be breaking apart ad campaigns that our members are running and tweaking them live for maximum effectiveness. This is where we will break down ads and be brutally honest about why certain mastermind participants campaigns are killing it and why others are not.